All supplies, morning snacks and lunch provided. 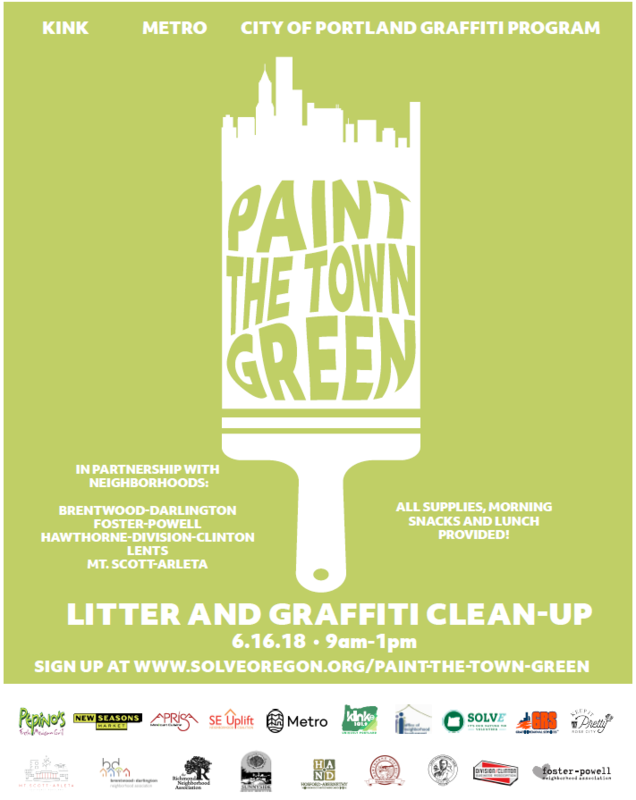 Paint the Town Green is presented by KINK FM, Metro and the City of Portland Graffiti Program in partnership with the Brentwood-Darlington, Foster-Powell, Hawthorne-Division-Clinton, Lents and Mt. Scott-Arleta neighborhoods.